allows you to monitor how much work you are doing for your Clients. 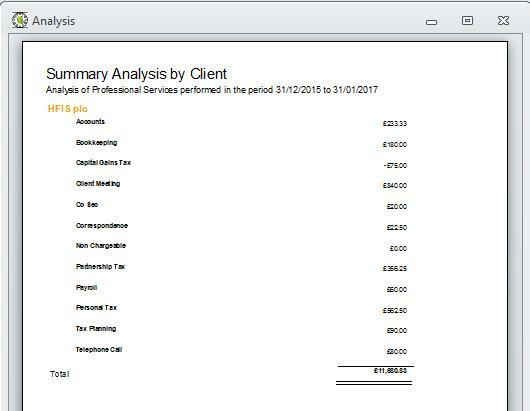 It records the time spent for each Fee-Earner on each Client and breaks down the work by type. It then calculates the cost based on the Fee-Earner rate. The system is designed for each member of staff to record their own times, but an Administrator can record all users bookings for any day. It is easy to edit any booking by selecting the entry and clicking EDIT. A Timer is incorporated to record a continuous activity or Client Phone Calls. 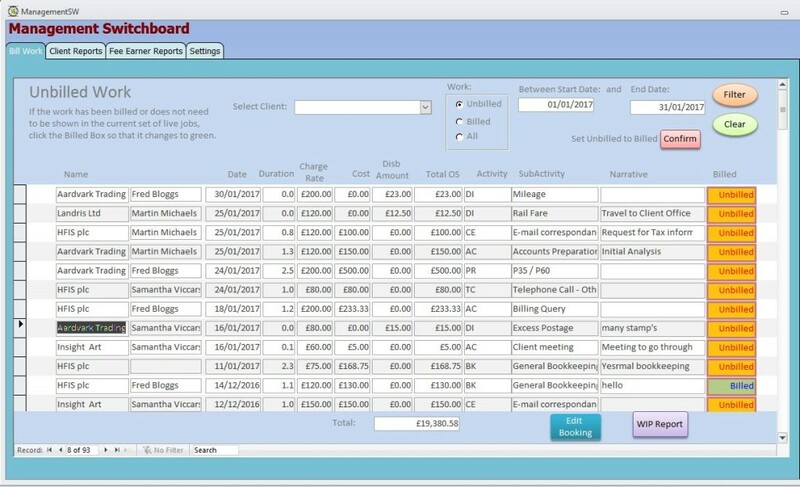 The Management Switchboard allows access to all bookings. Any booking can be marked as ‘billed’ so that the live bookings can be shown as ‘Work in Progress’ . Any booking can be edited from the screen below. 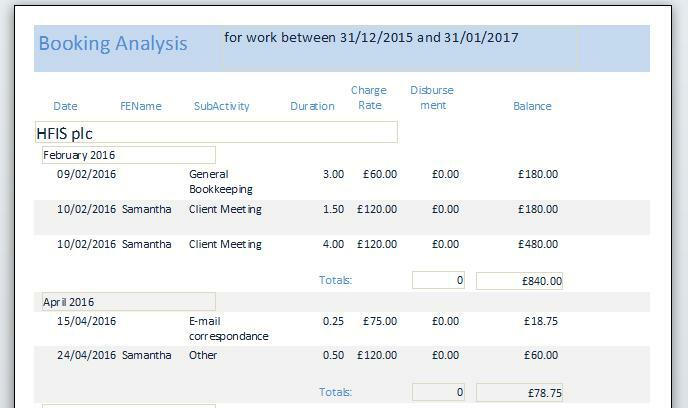 You can select any Client – or all Clients over any period to provide a summary or detailed report. There are many more features of this program. If you would like more information and a free Demo version please complete the Contact Form and mention ATR.